Better late than never, students who passed the PET examination at the end of term 2 received their certificates last week. Chocolates were also handed out to the students with top marks and most improved. 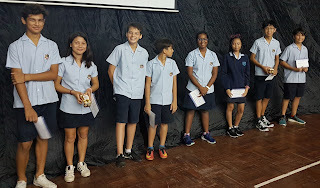 Congratulations to all and good luck in Set 2 English and Year 10 ESL.